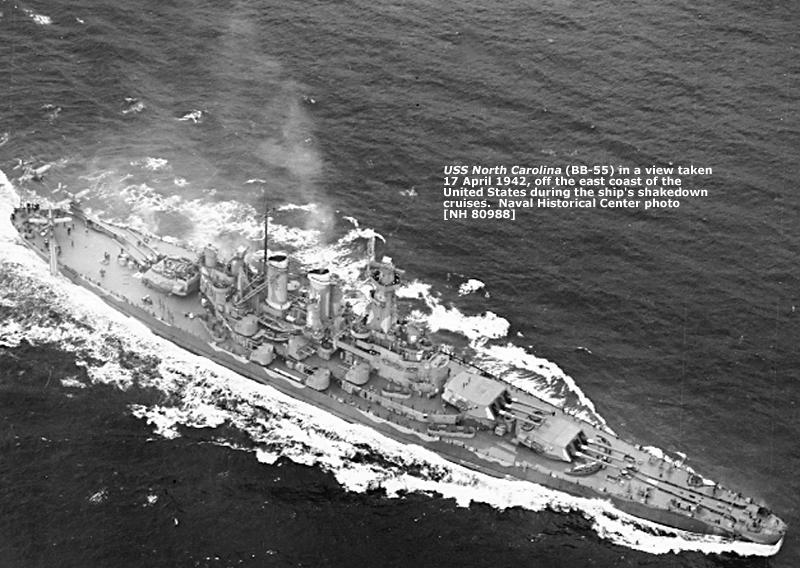 North Carolina now gave her mighty strength to protect USS Saratoga (CV-3). 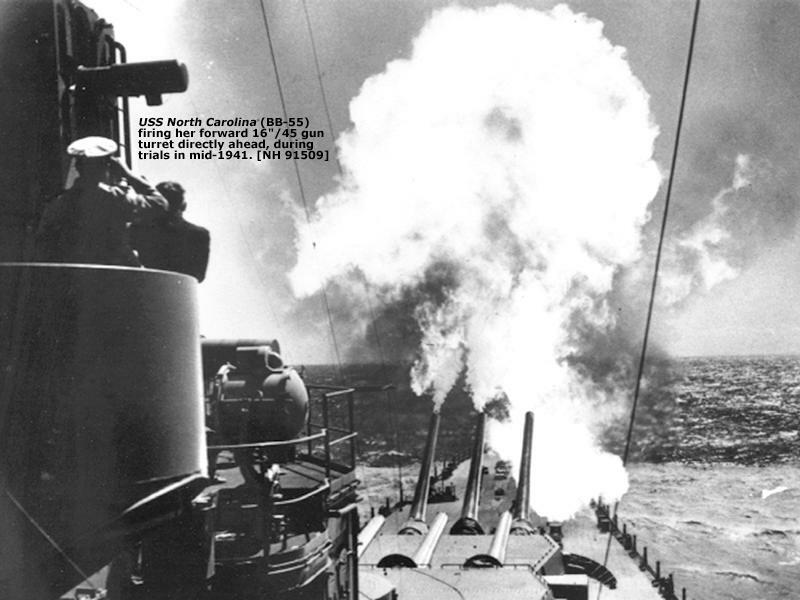 Twice during the following weeks of support to Marines ashore on Guadalcanal, North Carolina was attacked by Japanese submarines. On 6 September 1942, she maneuvered successfully, dodging a torpedo that passed 300 yards off the port beam. Nine days later, sailing with USS Hornet (CV-8), North Carolina took a torpedo portside, 20 feet below her waterline, and five of her men were killed. But skillful damage control by her crew and the excellence of her construction prevented disaster; a 5˝ degree list was righted in as many minutes, and she maintained her station in a formation at 25 knots. North Carolina sent both sailors and members of her Marine Detachment ashore for preliminary occupation duty in Japan immediately at the close of the war, and patrolled off the coast until anchoring in Tokyo Bay 5 September to re•embark her men.